History’s first peace treaty dates to c. 1259 BC, and was ratified between the Hittite state in Anatolia and New Kingdom Egypt. 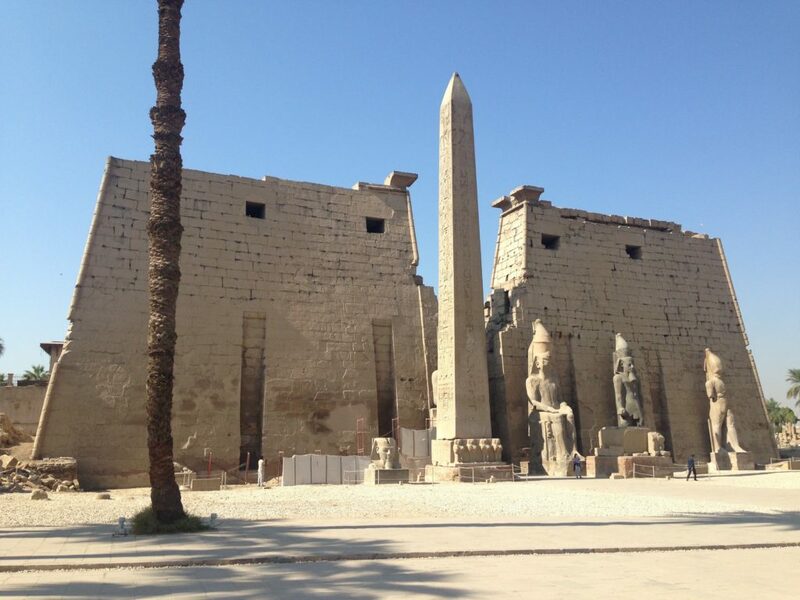 I had the opportunity to see remains of both civilizations on my recent trip. They’re quite different from each other. Ancient Egypt is very well-known. Their monuments still stand after millennia, and their style is unmistakeable. The pyramids of Giza to the west of Cairo are perhaps the most famous remains, but the New Kingdom (1500-1000 BC) was ruled from Upper Egypt, specifically Thebes, now known as Luxor. By this point Egyptians were no longer building pyramids, but they certainly had not lost their taste for monumental architecture. 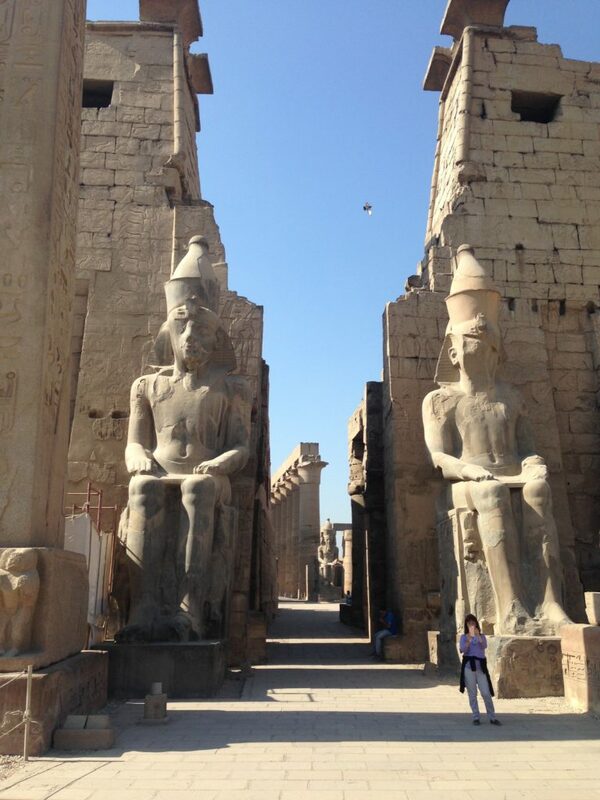 On the east bank of the Nile, you can visit two massive temple complexes, Luxor and Karnak. 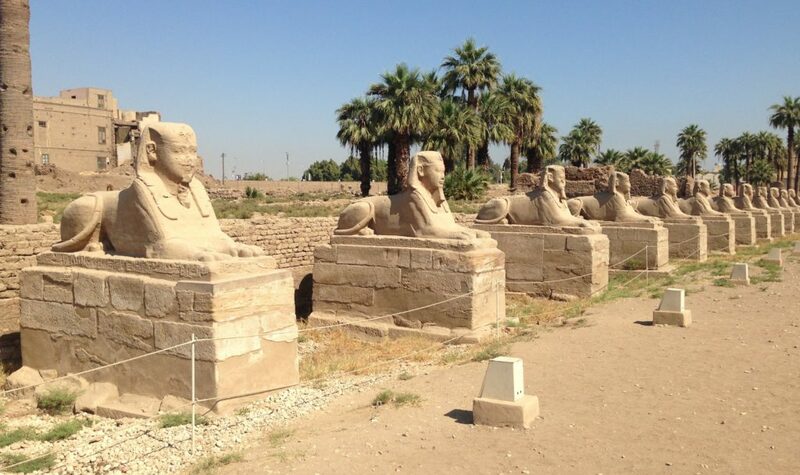 These were once connected by the so-called Avenue of the Sphinxes, a 1.5 mile road lined with recumbent sphinx sculptures, part of which is still visible. Luxor Temple consists of pylons, obelisks, hypostyle halls, massive sculptures, and incised hieroglyphics on almost every vertical surface. Of course, one could spend one’s entire career studying the history of its construction, use, excavation, and restoration, which like that of most Egyptian monuments is ongoing. 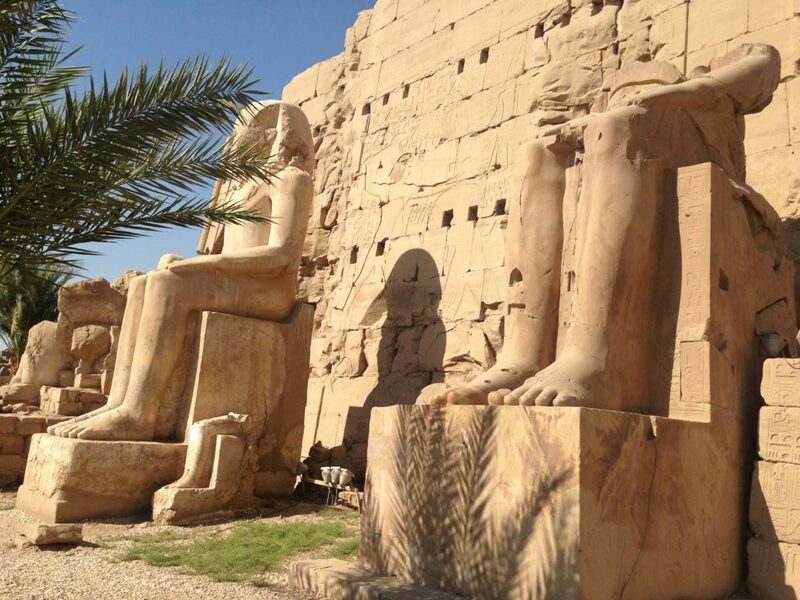 The signs suggested that Luxor Temple was used for the Opet Festival when, once a year, statues of the Theban Triad of gods were brought from the Karnak Temple to the Luxor Temple, in a celebration of rebirth and renewal. Originally there were two obelisks, but the other one is now in the Place de la Concorde in Paris. 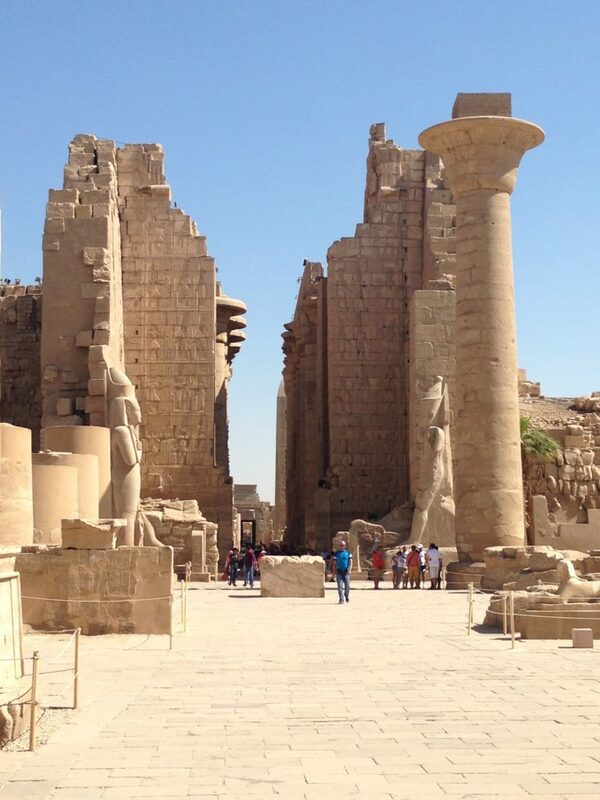 Behind the remaining obelisk are two “pylons,” wall-like structures that mark the temple’s entrance. The vertical incisions once held flagpoles. 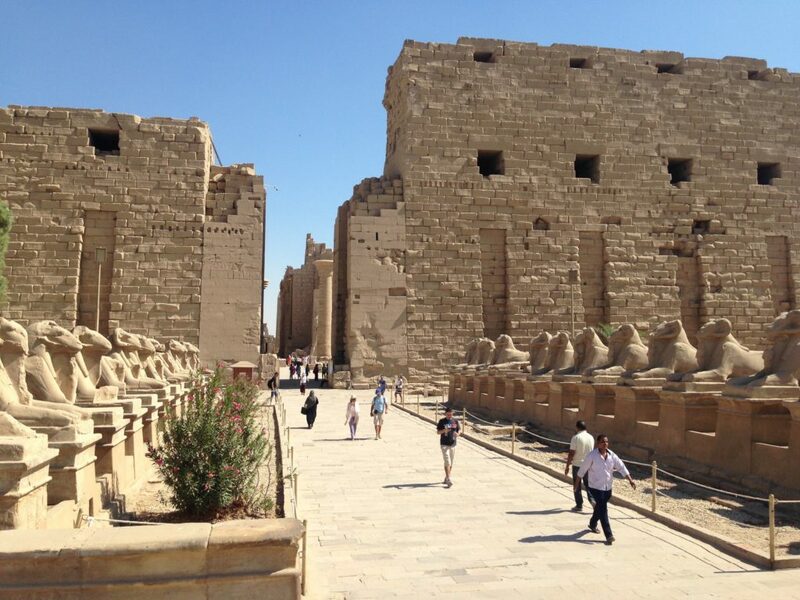 The Karnak Temple is within walking distance of the Luxor Temple (although not to worry, plenty of cab drivers will offer to take you in their horse-drawn carriages if you don’t want to go on foot). Between the two temples is the Luxor Museum, which is much smaller than the Egyptian Museum in Cairo, and displays fewer artifacts, but I think it’s a good example of the “less is more” principle – what they do have is of a pretty high quality, and the building is architecturally pleasing too. I was glad to see the mummy that Emory returned to Egypt in 2003. 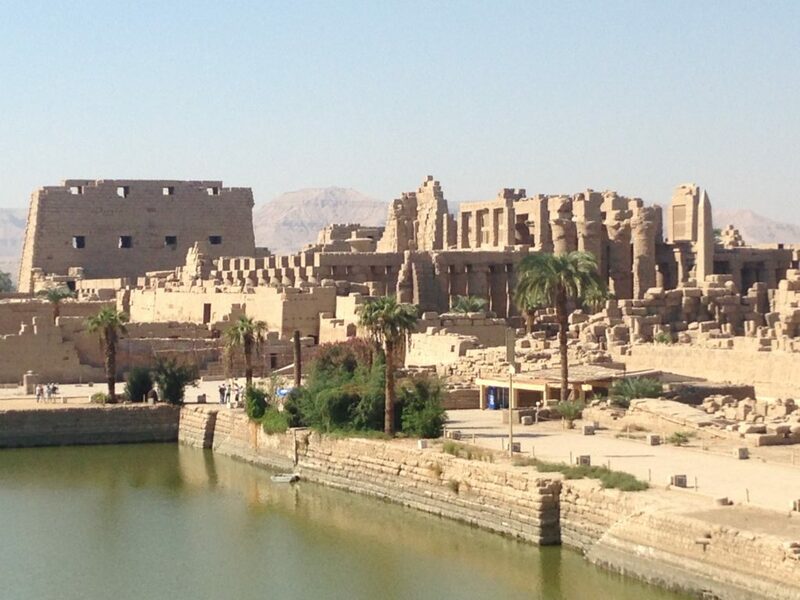 The Karnak Temple is even more impressive. It is certainly more extensive. 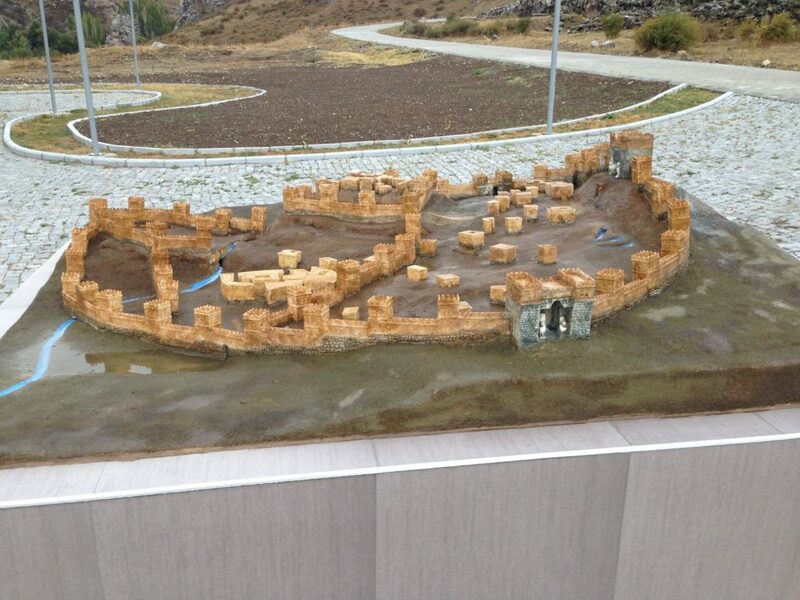 Here is a model of the whole thing as it may have looked at its height. And here are some shots of its current condition. 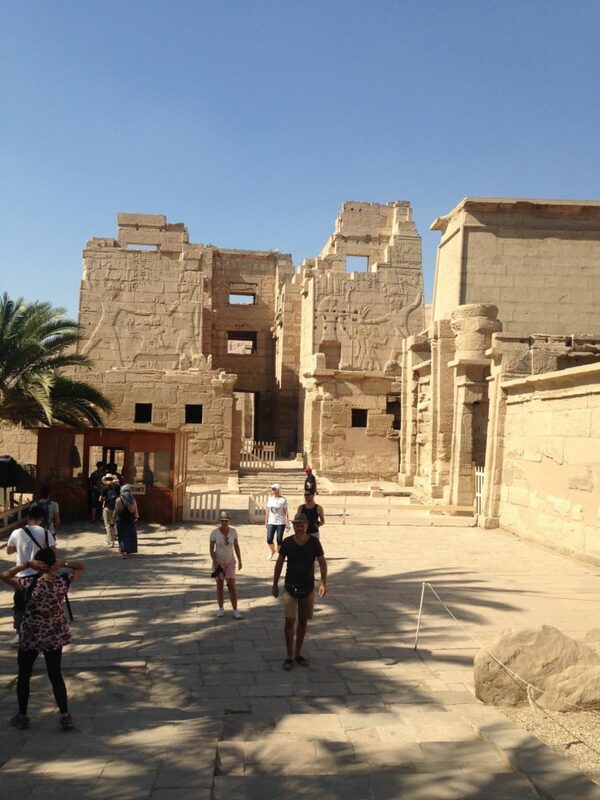 Of course, the Karnak Temple, the main home for the gods Amun, Mut, and Khonsu, comprises an entire field of study. I enjoyed speaking with Mahmoud (referenced below) and one Ben Pennington of the University of Southampton, who was drilling core samples that would help reveal the fluvial (and settlement) history of the place going back some 7000 years. And this is just on the East Bank! On the other side of the Nile, one finds the various mortuary temples constructed for New Kingdom pharaohs, like Hatshepsut or Ramesses III. 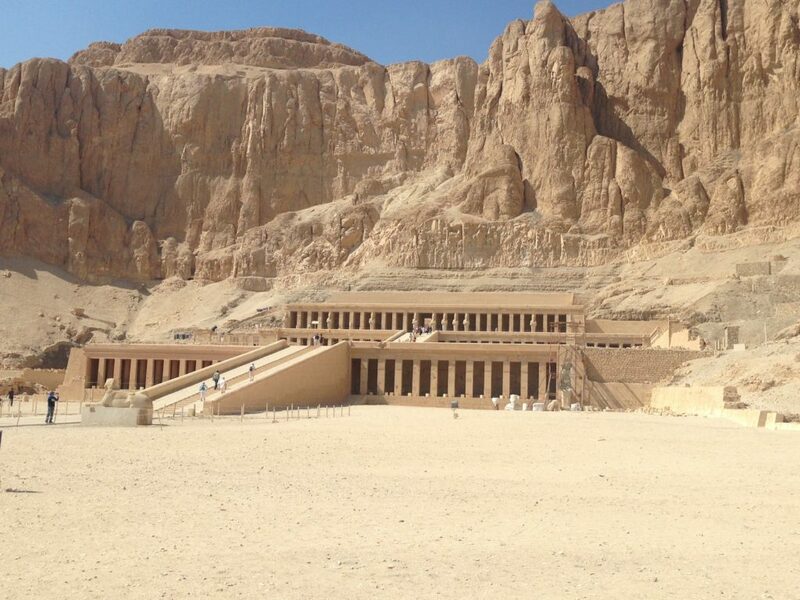 Then there’s the famous Valley of the Kings, where the pharaohs were actually entombed. King Tut’s tomb (designated KV62), although the most famous, was actually one of the smallest. Most of the tombs go quite a long way down into the limestone cliffs – workers would start digging it at the beginning a king’s reign, and keep on going until he died. They they had seventy days to finish everything up, which is why none of them is 100% complete. Of course, thieves stole all the grave goods long ago, but the decoration remains intact. Photography was strictly prohibited, however. As I say, all this is very impressive. The Egyptians obviously had a wealthy nation and a strong, highly centralized state that could commandeer sufficient surpluses, and redirect them to architectural projects for which they clearly had a large class of highly skilled artisans. The desert clime of Egypt has probably helped preserve these for the ages, and you can’t help but admire their work, so many thousands of years later. 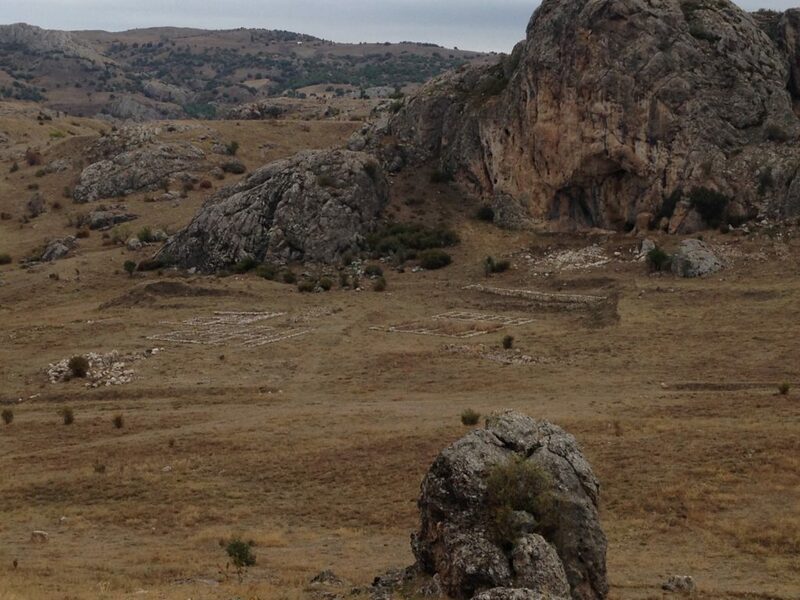 The Hittite state, by contrast, has not left remains as impressive. 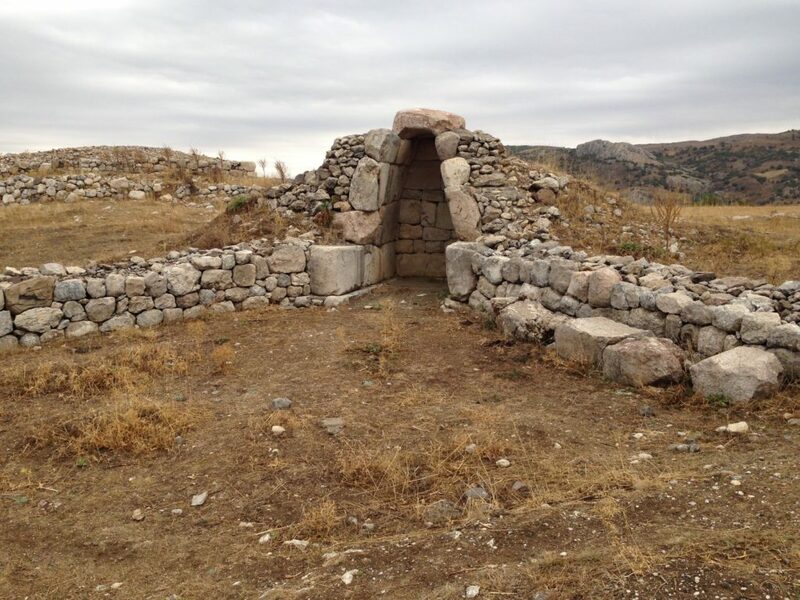 No one even knew there were Hittites until the late nineteenth century, when archaeologists began uncovering evidence of their Bronze-Age civilization in Anatolia. 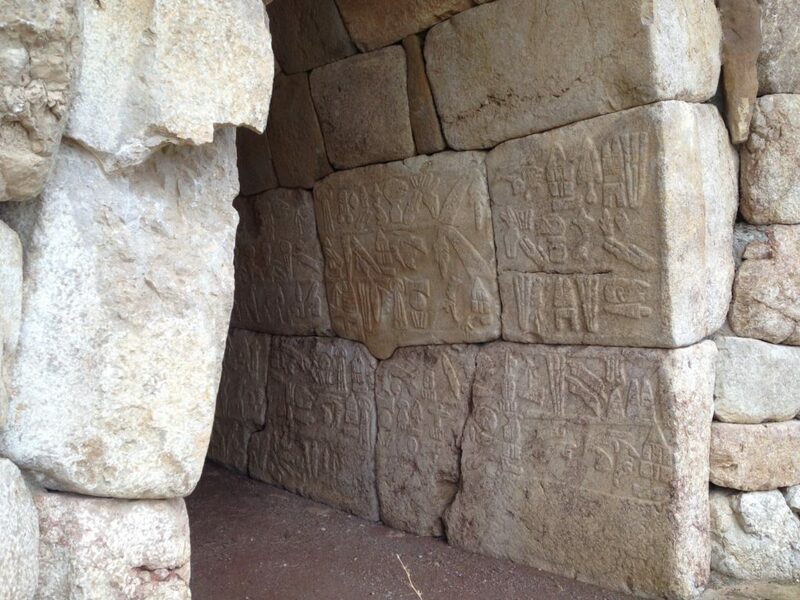 That they were named “Hittites,” after the Biblical “children of Heth,” is a matter of convenience – debate continues about whether or not the identification is valid. 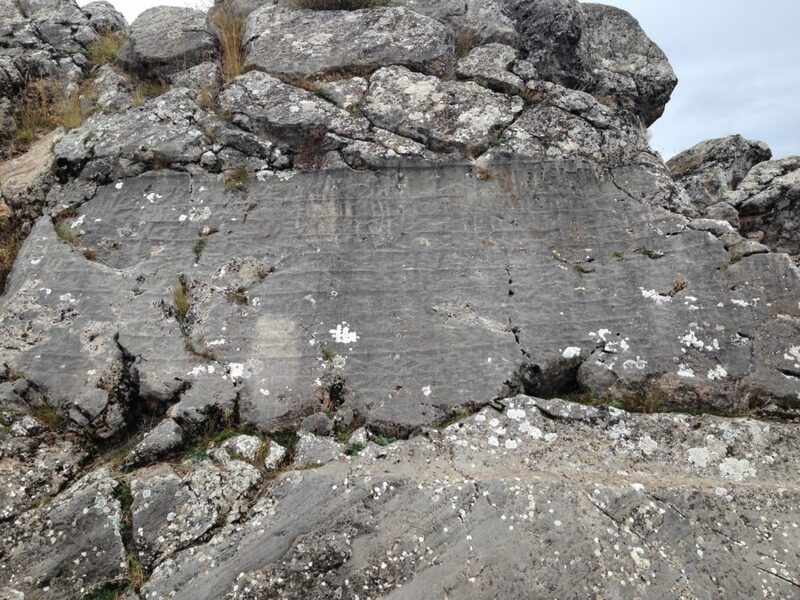 As more and more was uncovered, two things became apparent: the Hittites spoke an Indo-European language, representing the first appearance of that particular language family in the narrative of Western Civilization, and they were pioneers in the smelting of iron, and are thus forerunners of the Iron Age, which succeeded the collapse of their state around 1180 BC. 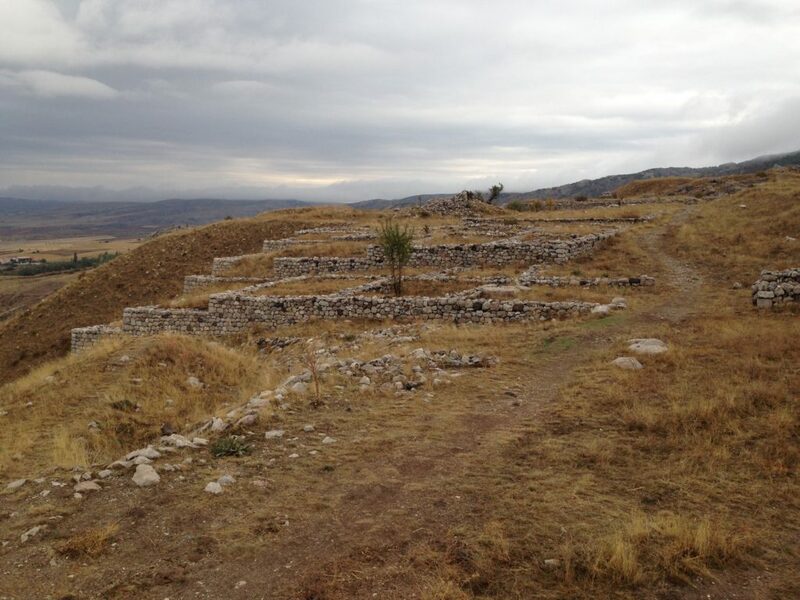 Hittite artifacts may be viewed in the Istanbul Archaeology Museums and in the Museum of Anatolian Civilizations in Ankara, but to view an actual archaeological site, you have to travel to Boğazkale, in Çorum Province. 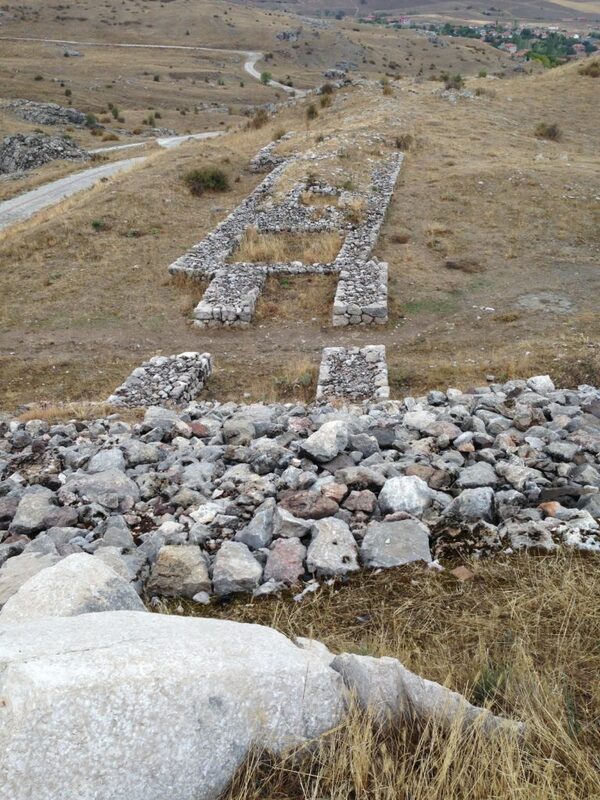 There you can walk around Hattusa, the capital of the Hittite empire. 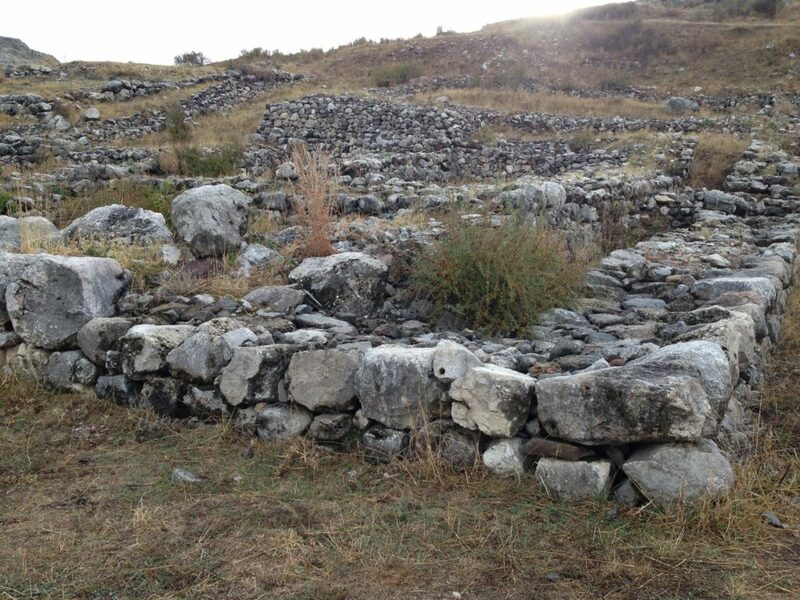 It takes the form of a circular wall, enclosing an area several acres in size, with numerous settlements within it. A model greets you as you enter. But most of what you’ll see comprises nothing more than building foundations. 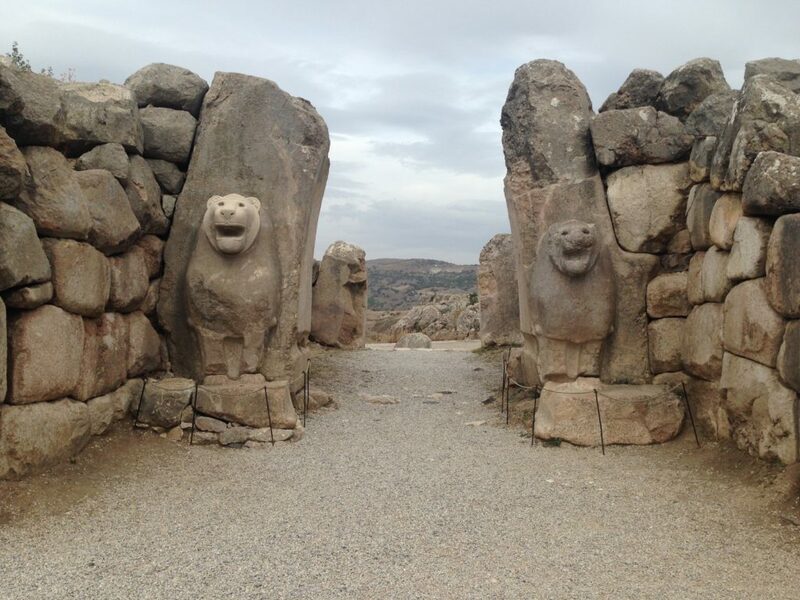 On the exterior wall around Hattusa, we find the famous lion gate. But on the whole, this picture conveys the sense I got when I visited: the Hittites adapted themselves to their environment, rather than trying to master it. The mountain forms a natural defense that they incorporated into their city. By this criterion, the Egyptians were far more “civilized” than the Hittites. You wonder how there could ever have been any agreement between them based on the notion of equality. But I couldn’t help but wonder whether living in ancient Egypt wasn’t like living in North Korea, with the only difference being that people had more to eat. Here we have an entire state set up to satisfy the whim of a single individual. (It’s true that the Luxor and Karnak Temples were ostensibly for the gods, but it was clear that each pharaoh took pleasure in adding something to them, and thereby glorifying himself.) The only art allowed was propaganda that honored the gods/the pharaoh, and in the approved style (did it not get boring after a while?!). 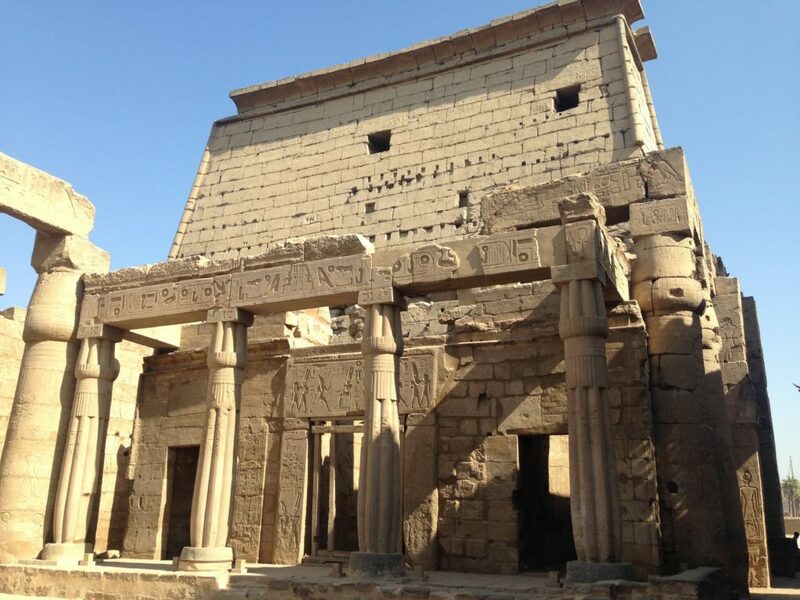 All the building remains that I saw around Luxor were ceremonial in some way. Constructing it provided employment for people, and demonstrated the strength of the state, but does it not simply represent massive wealth destruction? * Hattusa, by contrast, was an actual city, with a wall, and functional buildings within it like houses and administrative space, in addition to temples, which were much more modest in scale. 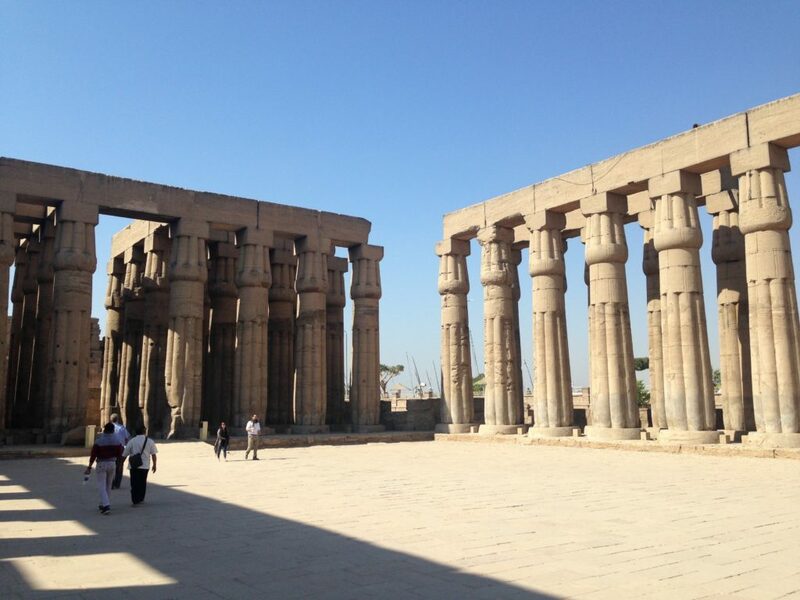 Obviously, the Egyptians would have had these too, but they were completely overshadowed by their massive temples. 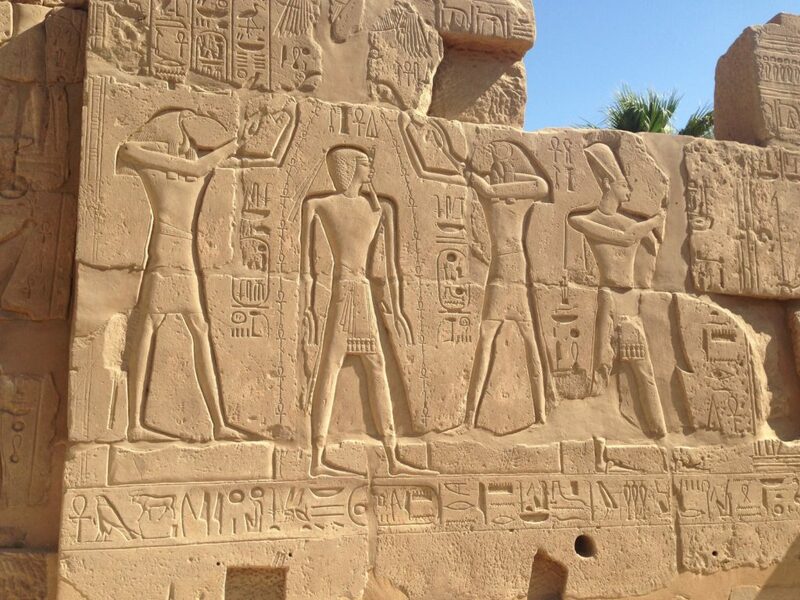 My guide suggested that the Egyptian penchant for construction bestowed meaning and dignity on everyone – building and decorating were meritorious in the eyes of the gods, and constituted a form of prayer. But I can’t help but think that a better way of arranging a society would be to allow greater material advantages to accrue to its populace. If nothing else it shows that you don’t need an elaborate material culture to hold your own in the fields of warfare and diplomacy. Even when weapons of war are not actually destroyed, their manufacture is still a convenient way of expending labour power without producing anything that can be consumed. A Floating Fortress, for example, has locked up in it the labour that would build several hundred cargo-ships. Ultimately it is scrapped as obsolete, never having brought any material benefit to anybody, and with further enormous labours another Floating Fortress is built. This entry was posted in Archaeology, Architecture, Bronze Age, Diplomatic History, Egypt, Turkey by jgood. Bookmark the permalink.